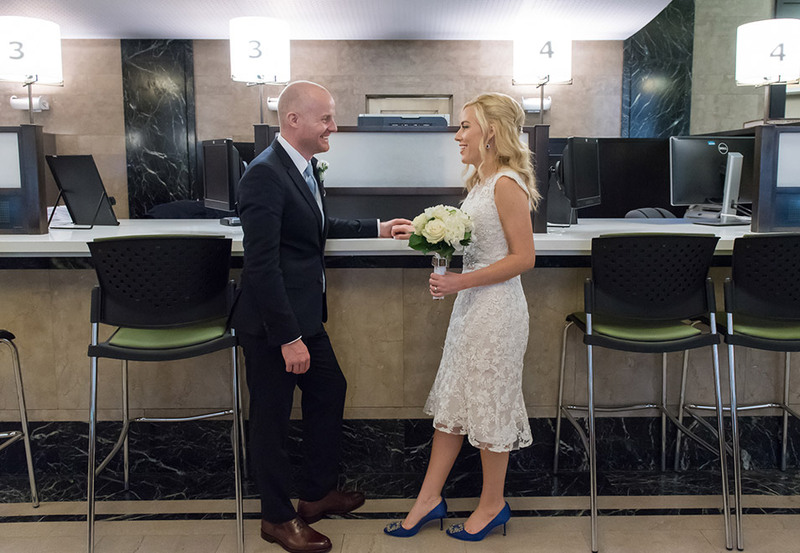 Forget Paris – for Amanda and Aaron, New York is the City of Love. 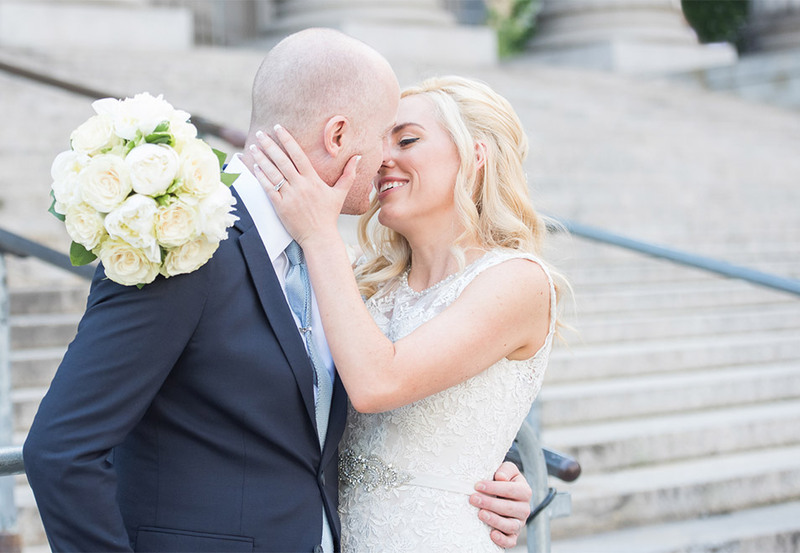 Their romance spans all Manhattan: first date at the Boat Basin restaurant on the Upper West Side, marriage at City Hall downtown, and reception at Palma’s garden in Greenwich Village. 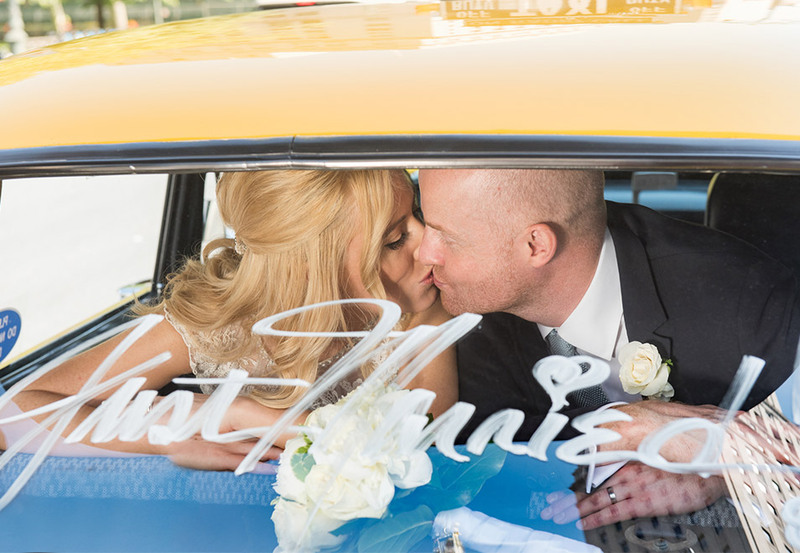 In homage to another New York romance, their wedding day limo was a Harry Met Sally Checker Cab. 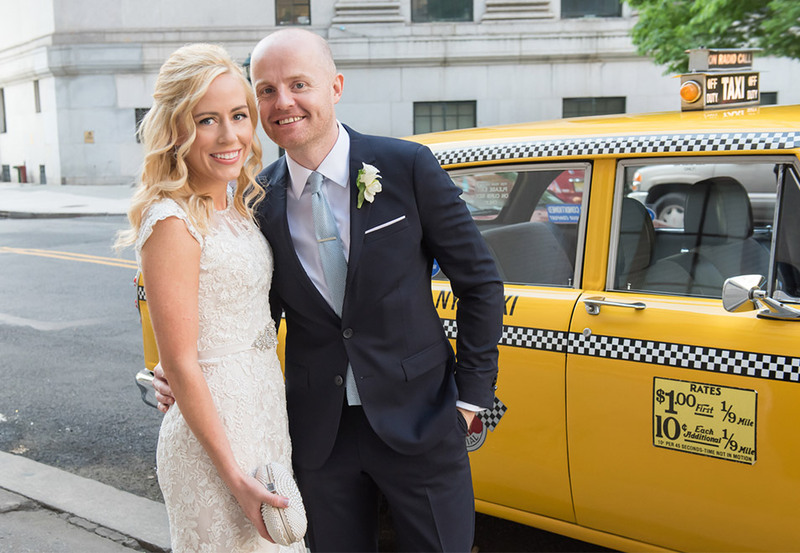 Naturally we had to include the Brooklyn Bridge, the perfect backdrop for their photo shoot. 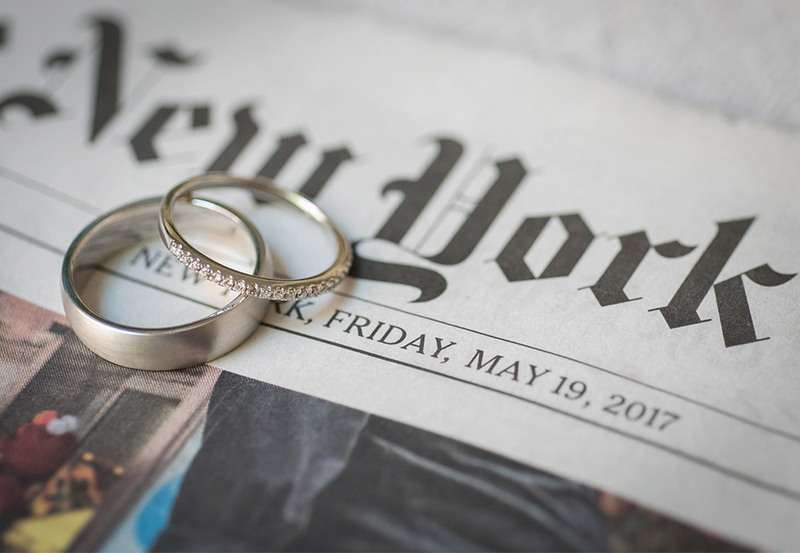 What more could a girl from small-town Indiana and a guy from midland England want? Maybe a honeymoon in Bali, but we bet they won’t be gone for long. 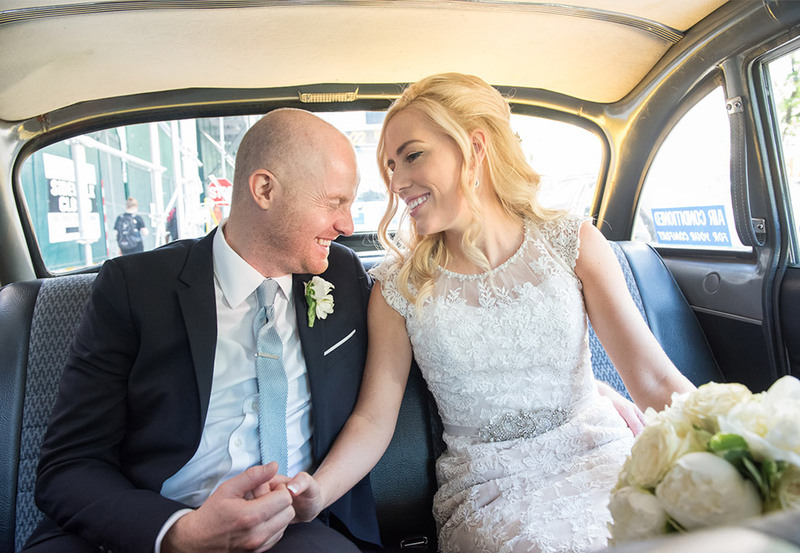 See the full gallery of images from Amanda & Aaron’s Wedding.